To ensure that everyone who wishes to give a gift for #GivingTuesday can participate, we're working late to answer your questions and make sure every gift is accounted for. Don't hesitate to call us late into the evening at (419) 798-5396 or make an online donation now! Since 1979, the Steele Memorial Bandstand/Gazebo has provided an open space for programming on the lakefront. It has played host to many Sunday concerts, author visits, children's nature programs, tree walks and has become the subject of many plein air paintings. Year after year, the Gazebo is the backdrop to celebrate life's milestones. Through proposals, weddings, family reunions and baptisms, it fosters a sense of community and love in Lakeside. 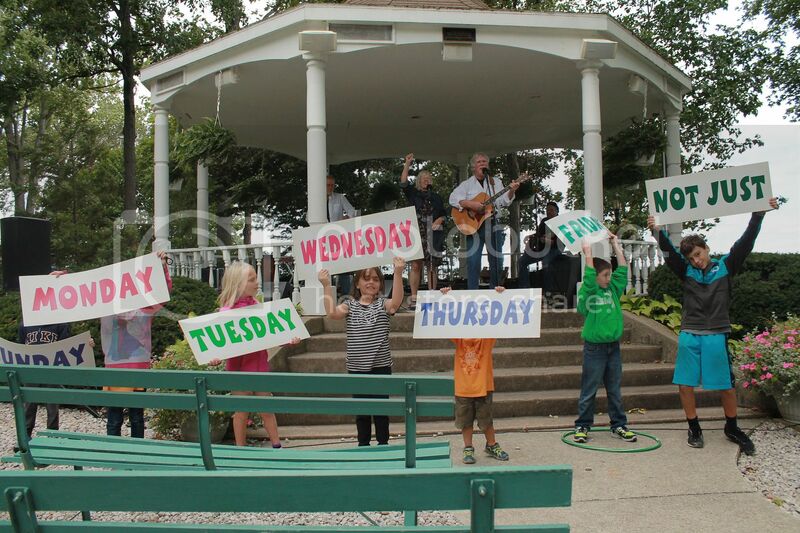 The centralized location in Central Park allows Lakesiders to stumble upon the Chautauqua experience at the Gazebo and join in with the community. The laid back nature is what makes Lakeside a place unlike any other in today's precisely planed, nonstop world. Having received only minor updates since its dedication in 1979, the Steele Memorial Bandstand/Gazebo is in need of a revitalization. Lend a hand this #GivingTuesday. Make a check payable to the "Lakeside Chautauqua Foundation," Attn: Giving Tuesday, 236 Walnut Ave., Lakeside, Ohio 43440 with "Giving Tuesday" in the memo line. Learn more about this year's #GivingTuesday project by reading our latest blog posts.